A mobile Hijri Calendar / Islamic Calendar for the year 1430H. 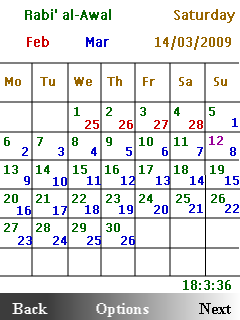 Primary calendar is the Hijri, with Gregorian dates underneath. Includes markings of important Islamic events.